We’ve talked a lot about insurance in the past. In the post 8 Valuable Things You Need to Know about Health Insurance, Sarah covered the basics of what you need to know since the affordable care act legislation. And Lexi told you the differences between insurance types and which ones are needed and not needed in her post Do You Really Need Insurance for Everything? Open enrollment is usually on the tip of most HR departments tongues in the fall and that means this is the one time of year where you get to choose a new health insurance provider or change some things about your current policy. Luckily for us our friends at Aflac have given us some dirty deets on what some of the terms on your health insurance statements really mean. In case you were wondering, open enrollment season is a time when workers can review their employer-sponsored benefits offerings and choose the health insurance policies that best meet their financial and health care needs. If you change your mind in June or July about your health-care plan you are out of luck, because you cannot change it again until open-enrollment season, or if you go to a new job in which case you would probably switch insurance providers outside of the open enrollment season. Since you can only make this decision once a year, it is very important to do your research about the best plans that not only fit your budget but the ones that will suit your healthcare needs. Are you planning on having a baby the following year? Or do you would you rather pay a lower co-pay when you go to the doctor? Know your needs then do your research. A recent Aflac survey found that many workers do very little research to learn which plans and products really work best for them. In fact, 34% of employees spent 15 minutes or less researching their benefit options in 2014.1 While this may not seem like that big of a deal, this means that there is a pretty good group of people out there who could have inadequate health insurance for themselves and the worst time to find that out is when you are having a medical emergency. How Do I know What I Need in My Health Care Plan? So all health insurance policies are not created equal. What someone may need could be not necessary for the next person. The best way to identify the type of insurance you need is based on your life stage. Today’s workforce includes the following generations. Gen Y/ Millennials -(born between 1979-1988)-That’s us! Of course, a few other items to consider outside of your generation pool is where you are in life. Does you family have a history for a certain disease? Do you need to work with a specialist such as a dermatologist or an allergist? All these factors should be taken into consideration when deciding on your health care plan. Since there are so many variables in people’s lives, it is good to also consider different voluntary policies based on your needs. What type of Voluntary Insurance Policies should I consider? According to that Aflac survey, 66% of workers would not be able to adjust to the large financial costs associated with a serious injury or illness and 49% have less than $1,000 on hand to pay out-of-pocket medical expenses.1 So be sure to pay attention to that deductible number when you are choosing your plan. So when an unforeseen medical event occurs, many people are often faced with paying copayments, deductibles or treatment costs not covered by major medical insurance, as well as other daily living expenses – all while paying increasing health insurance premiums. This is a scary thought that is a reality for many people. A good way to prevent this from happening to you is to consider voluntary policies. Voluntary policies complement major medical coverage to help with out-of-pocket expenses in case of injury or illness. In addition to this, the cash benefits from these plans can be used to help pay rent, gas, groceries, child care or any other out-of-pocket expenses that continue to roll in even if someone is too sick or injured to work. here are a few types of voluntary policies to look into. This type of insurance is for people who are diagnosed with a life changing illness. According to the Centers for Disease Control and Prevention (CDC), heart disease is the leading cause of death in the United States; more than 600,000 Americans die of heart disease annually. To put that in perspective, that’s 1 in every 4 deaths in this country.2 While no one is immune to a serious illness, this sort of protection keeps you from paying any major out of pocket expenses. This type of insurance helps with initial diagnosis expenses as well as treatment. Those who have a family history of heart disease, stroke or heart attack. Everyone, especially parents with accident-prone children as well as active adults (athletes and adventure-seekers). Cancer may not seem to be a huge worry for most millennial women, it is becoming a more prevalent issue regardless of your age. In the U.S., the lifetime risk of developing cancer is slightly less than a 1 in 2 risk for men and a little more than 1 in 3 for women. In addition, more than 1.6 million new cancer cases are expected to be diagnosed in 2015 alone.5 With numbers like that it almost seems like having a cancer insurance policy in place couldn’t hurt in the case you or a member of your family is diagnosed with cancer. These types of voluntary policies can be used not only for treatment expenses not covered by major medical insurance, but also for extra child care that may be needed, transportation to and from the doctor or treatments, and even everyday living expenses, such as mortgage payments or groceries. Those who have a family history of cancer. This insurance goes hand in hand with accident insurance above. Hospital insurance pays cash for covered hospital stays, with optional benefits for diagnostic procedures, surgery, ambulance transport and more. Hospital inpatient care accounts for nearly a third of U.S health care costs, and there’s no relief in sight: The average length of a hospital stay is 4.5 days at a cost of $10,400.6 Even if you have major medical insurance, it likely won’t be enough to cover every expense associated with a hospital stay, such as rising deductibles, copayments, and out-of-pocket maximums. Those who plan to enroll in health plans with high deductibles. Life insurance is not a one-size-fits-all benefit, but it is something to consider, no matter what stage of life you are in. In fact, 50 percent of U.S. households (58 million) say they need more life insurance.7 What is great about getting life insurance when you are young and healthy is that is relatively inexpensive and will benefit you as you do get older. It can also be used to cover funeral/burial expenses, pay off creditor debt or provide parents with funds for retirement. If you are a mom or dad, benefits can help cover your child’s college education, or help your spouse continue to pay the mortgage or any other financial need following the loss of a loved one. Generation Z and millennials/Generation Y, who may have student loans co-signed by parents or other loved ones. Parents with young children and/or other dependents. Baby boomers approaching retirement age. Many people mistakenly believe that the Social Security Administration will provide adequate financial assistance if they become disabled, but that’s not true in all cases. In fact, more than 59% of disability claims are denied by the Social Security Administration.2 In addition, workers’ compensation only covers on-the-job injuries and disabilities and considering that off-the-job injuries are three times more common than on-the-job injuries, having disability insurance can help you avoid devastating financial situations resulting from an unexpected accident that may leave you unable to work.1 Short-Term Disability insurance pays a percentage of your income if you are unable to work due to a covered illness or injury. Benefits are paid directly to you, unless otherwise assigned, to help cover things like deductibles, car payments, utility bills and more. Those who agree they should take better care of their health (feel stressed or need more sleep and a better diet). 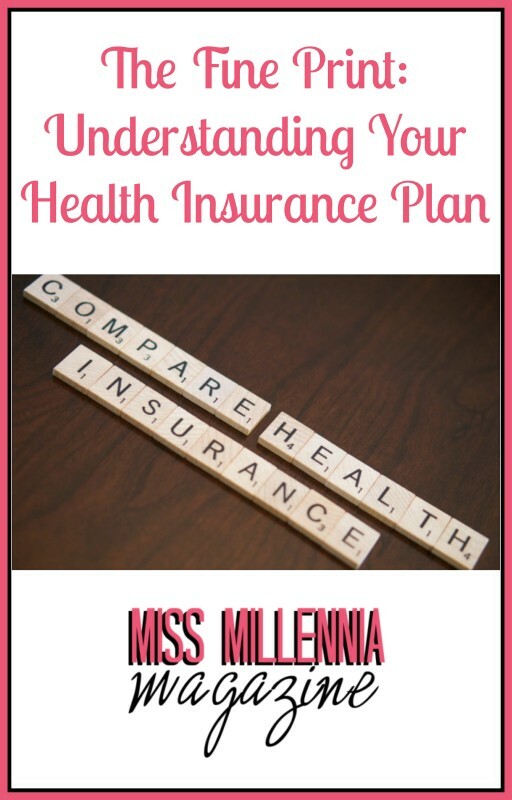 There are many insurance options out there when it comes to your health insurance and it is important to consider these options as well depending on your needs. But one thing I believe you should take from this is to take the time to do your research regarding your benefits. Everyone is different, and it is important to consider all of your options before deciding on one plan. Want more information on the Aflac survey or options regarding insurance plans? Check out more here.